Emory University Hospital is the first hospital in the country to receive dual accreditation for its Epilepsy Monitoring Unit and ICU EEG (electroencephalography) Monitoring Program by the ABRET Long-Term Monitoring Lab Accreditation Board. ABRET stands for the American Board of Registration of Electroencephalographic and Evoked Potential Technologists, and seeks to encourage, establish and maintain the highest standards of clinical monitoring through credentialing EEG technologists and supporting EEG lab accreditation. The award is based on outstanding management of EEG monitoring programs including adherence to established practice standards, maintenance of patient safety and utilization of the most recent EEG technology. ABRET is responsible for examination of all EEG technologists for official registry, as well as accrediting individual EEG labs. As of 2012, ABRET has a new program for accreditation of continuous EEG monitoring. Centers can apply for accreditation in either epilepsy monitoring, ICU EEG monitoring or both. Emory is the first epilepsy center in the U.S. to apply for and receive accreditation in both. "It is an honor to be recognized as the first epilepsy center in the country to receive ABRET accreditation for continuous EEG monitoring in both the Epilepsy Monitoring Unit as well as in the critical care setting," says Suzette LaRoche, associate professor of neurology, Emory University School of Medicine, director of neurophysiology and medical director of critical care monitoring at Emory University Hospital. "This accreditation is a testament to the hard work and dedication of our entire neurophysiology team at Emory Healthcare." It is estimated that over 40 million people in the world may suffer from epilepsy, a neurological disorder that causes abnormal electrical activity in the brain resulting in recurrent seizures. The condition affects children, adults, and seniors and can be genetically present from birth or caused by a head injury, brain tumors, or infectious diseases. In many cases, the cause is unknown. At the Emory Epilepsy Center and Monitoring Unit, continuous monitoring can improve diagnostic accuracy when the diagnosis of epilepsy, particular seizure type, or location of onset is not clear by routine or prolonged EEG recordings. With more accurate diagnoses, physicians are better able to select the most effective medications and possible surgical treatment options. 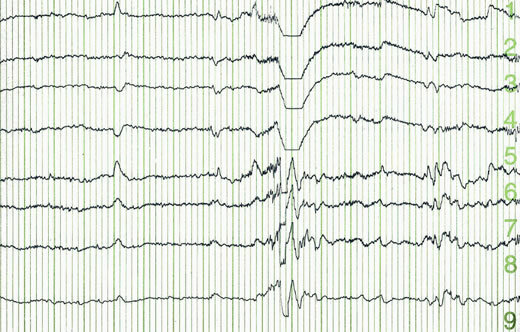 "Because EEG monitoring is so critical in the field of epilepsy, as well as neurocritical care, these accreditations are crucial for providing the best care possible for our patients," says LaRoche.